As we walked through the isles of a dollar store last week, my eye caught a shiny mylar balloon. Instead of floating high, it was hovering about 10″ above the floor with its ribbon coiled below. As people walked through the store, the balloon, obviously low in helium, slowly bobbed along without any purpose or diretion. It struck me as sad – a balloon is meant to bring cheer and enjoyment, but this one was no longer like that. Other balloons had been picked and taken to parties or celebrations, but not this one. I thought more about the scene and wondered why the image stuck with me and I realized that I could relate to the balloon. While we are not as exhausted as we were when we first returned to the USA, sometimes we are reminded that we are still feeling ‘low on helium’ and sometimes find it takes extra effort to do pretty normal things. The month of March will bring a number of visitors to our house, so I have been trying to get the guestroom ready. I purchased some curtains at a Salvation Army that needed adjustments to fit in windows in the guest room. I was dreading taking on the project which would require pulling out my sewing machine, measuring, and making a plan of how much to shorten them, etc. It sounded like more energy than I had, but one day, I decided it just needed to be done. After rallying the energy, I pulled out the sewing machine and found a place to set it up. It hadn’t been used for at least 5 years, so I opened it up and generously applied sewing machine oil to the gears and let it sit. The next day, I plugged it in and stepped on the foot pedal. A purring noise came from the motor but the gears were unmoving and even a gentle pull by hand made no difference. Sigh. Now what was I going to do? At our nearby office center about 2 miles away, there is a small building called ‘The Boutique’ – a treasure trove of donated goods that are organized by faithful volunteers. One part of the Boutique is the ‘Sewing Room’ where other volunteers sit at sewing machines and do mending and sewing for missionaries. I remembered that sometimes missionaries were able to use or borrow the sewing machines. And sometimes,there are donated machines that are available to be given away. After a couple of days of psyching myself up to go check out the options, I headed to the Boutique. Truthfully, I tried to prepare myself to be thankful when I was offered a vintage 1970 Montgomery Ward sewing machine. My friend, Shirley, cheerfully manages the Sewing Room and spends hours serving others at a sewing machine. I found Shirley and asked if, by any chance, there was a sewing machine I might be able to borrow or was there, by any chance… a donated machine available for me to have? The next thing I knew, Shirley was showing me a beautiful Viking Husqvarna machine. It had been donated and a volunteer had recently serviced it. If I wanted that one, it was available. Wow. I was blown away. 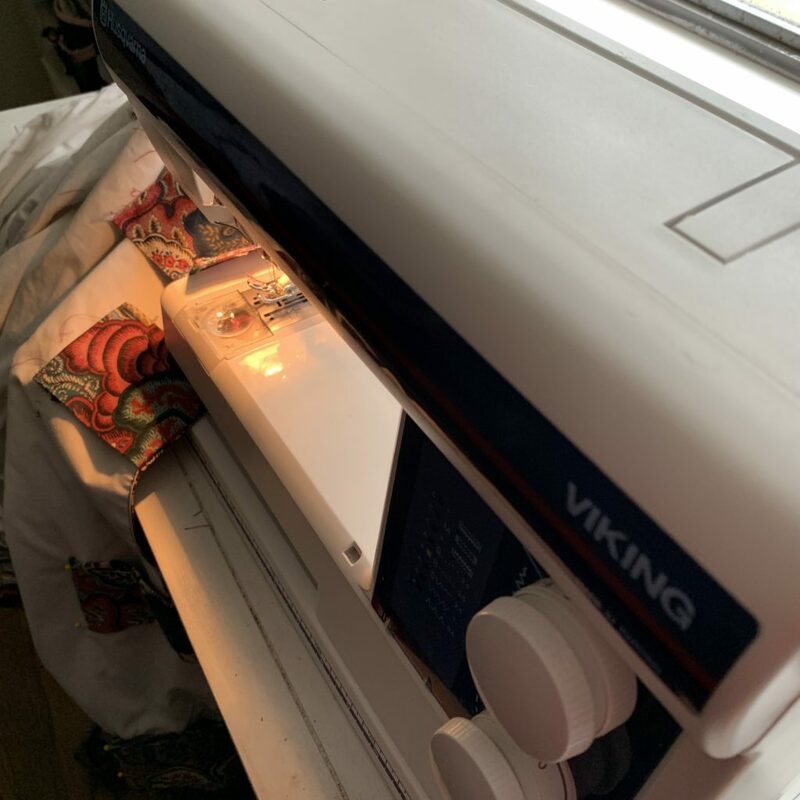 God providing a sewing machine and not just any machine – Viking sewing machines are made in Sweden and are considered one the best on the market. And this one is in beautiful condition. I was near tears as I received this gift with true thanksgiving to God. As I left the Sewing Room carrying my new gift, I felt lighter and so very blessed. I walked into the house and showed Tim my precious gift. We both delighted God’s goodness. I’m still working on completing the curtain project. But now, it’s not nearly so daunting as I sit in front of the sewing machine that makes beautiful straight stitches as the motor purrs along like a song of praise. I’m grateful for a reminder of God’s love for us, which fills our hearts with puffs of ‘helium’ to raise our spirits. “Wherever you are, be there…” That’s what we have been trying to do as we recover from the intense 5 year term in the Solomons. 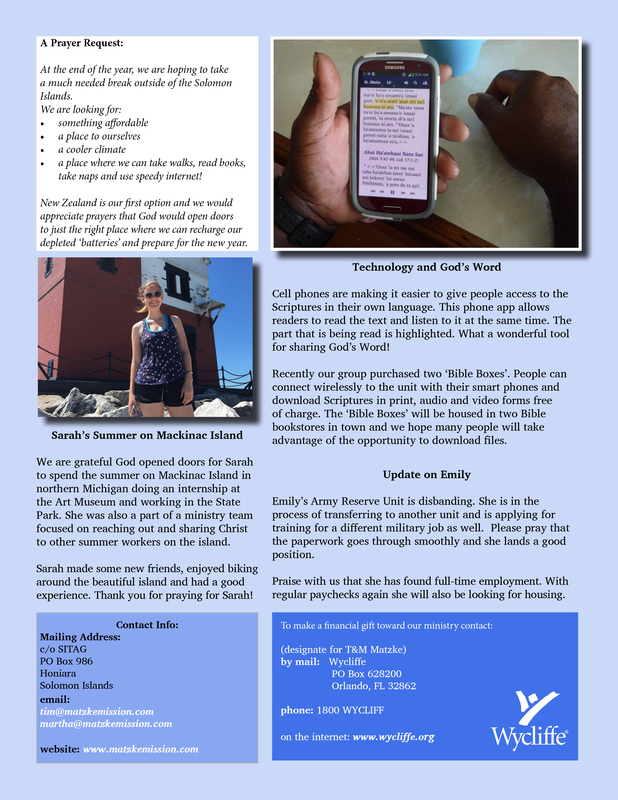 Our New Year 2019 Newsletter will tell you more about what we have been doing and how to pray for us as we move forward into this new year. Comments Off on Changes coming! 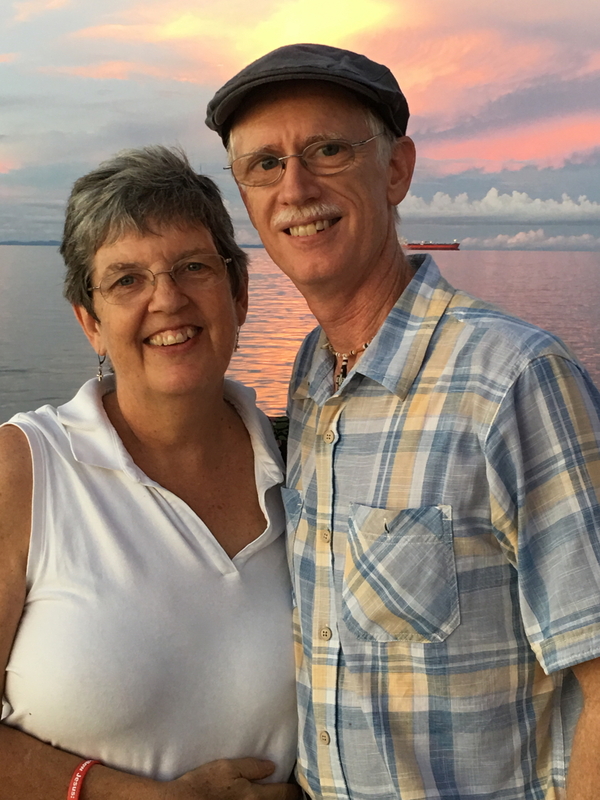 We are packing up and looking forward to returning to the USA in June for furlough. 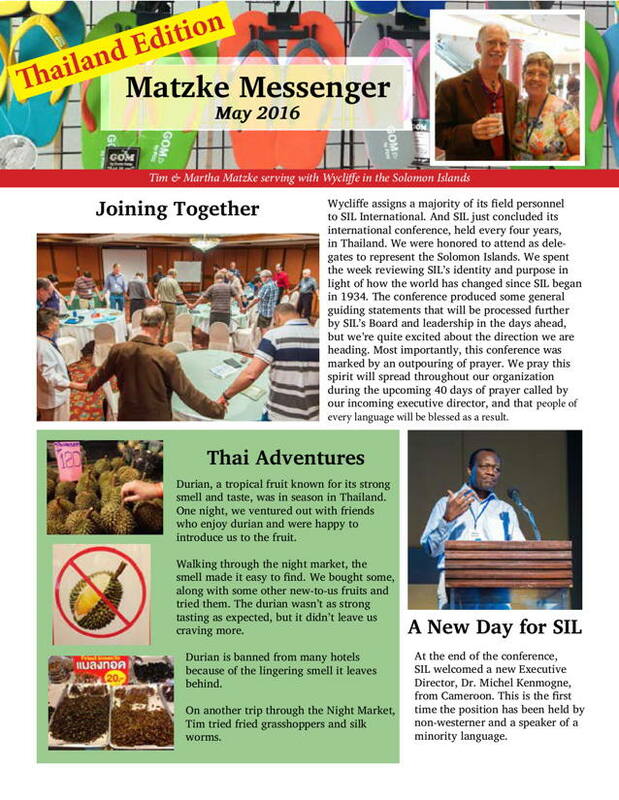 Click here to read our latest news! 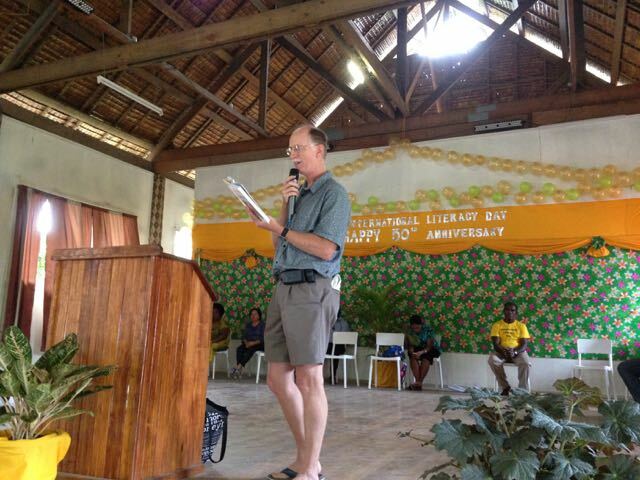 We just celebrated International Literacy Day here in the Solomon Islands. Read our newsletter to find out why this woman is smiling. Let us know if you have any problems accessing the Pdf file. 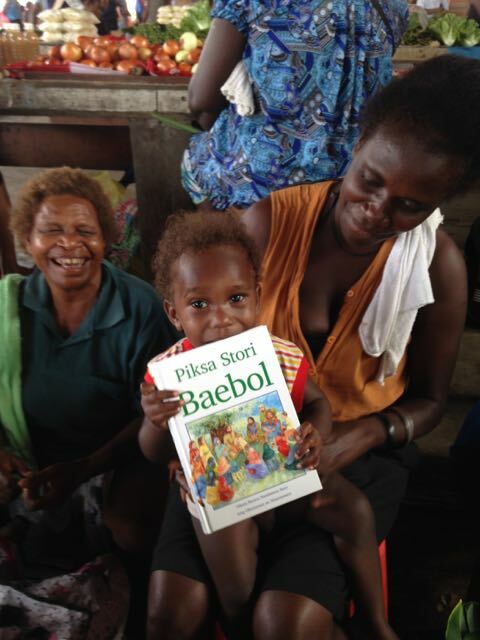 We hope you enjoy learning more about the Solomon Islands! We are grateful to live in a Christian country where public meetings are opened in prayer, there is a respect for God’s Word and public leaders are not ashamed to express their support. 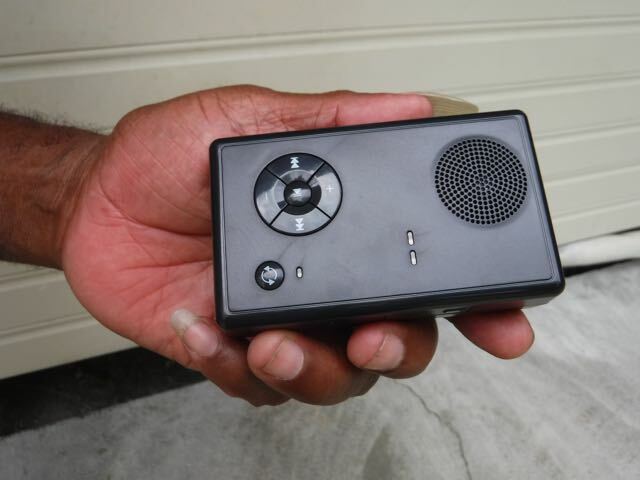 This week, the Seventh Day Adventist Mission invited us to the launch of the ‘Godpod’ – a small audio player loaded with the entire Pijin Bible. The Prime Minister of the Solomon Islands was in attendance and gave the following speech. 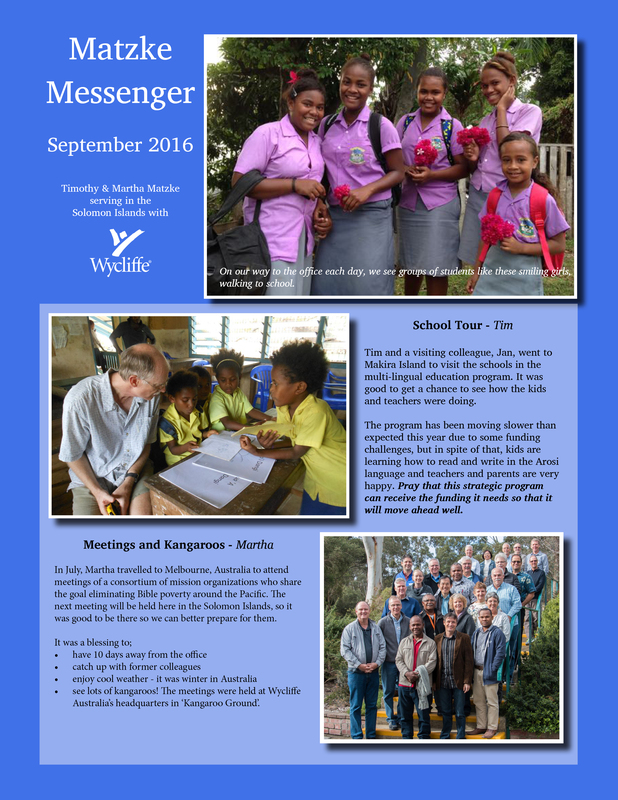 In the fourth paragraph, he references SITAG – Solomon Islands Translation Advisory Group which the group with which we serve. It gives me great pleasure to be part of this launching program to mark the successful completion of the God Pod project. Thank you very much for inviting us. We are truly delighted to be here. It is just fitting at the outset that I take the opportunity to thank the initiators of this wonderful project through the Seventh day Adventist Church. It would also be remiss of me at this juncture not to acknowledge the efforts of the other Christian denominations and organizations that worked tirelessly to improve the knowledge of God’s word amongst our people. 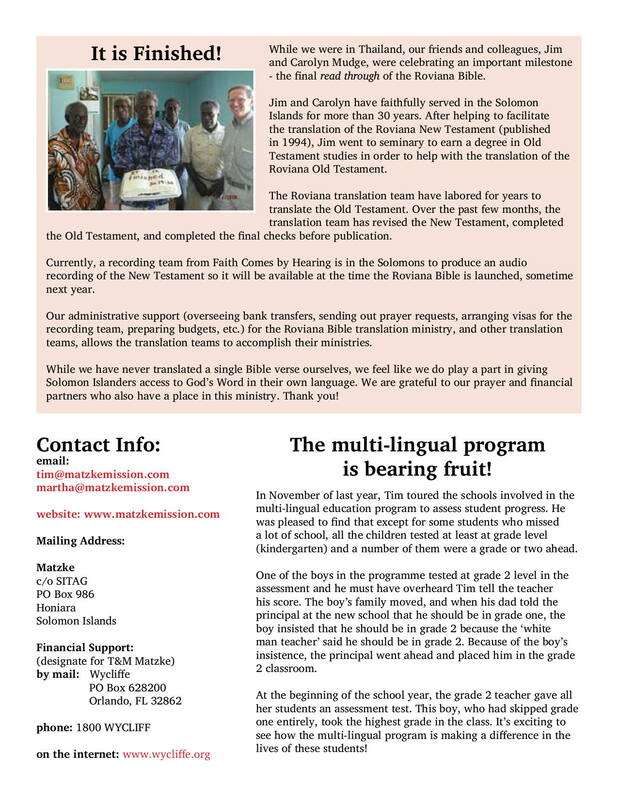 I mention specifically the work that SITAG has been doing in this country for years in getting God’s word translated to many local languages and dialects. Our people who can read the Bible can now do so in their mother tongue and more importantly understand what it says. As a Christian Nation, we value the reading of God’s word and parents who are serious about the upbringing of their children have impressed upon them to make bible study a way of life. As a matter of fact Christianity and the different ways it is taught and emphasized to our people has done more to influence the way our people behave and conduct themselves in their work places, and how they relate to authorities. It would therefore be true to say that Christianity is the single most important influence in the country, and Bible Study is at the center of that influence for better or for worse. This brings up a very important responsibility to people who are entrusted to positions of influence on matters relating to our relationship with God. 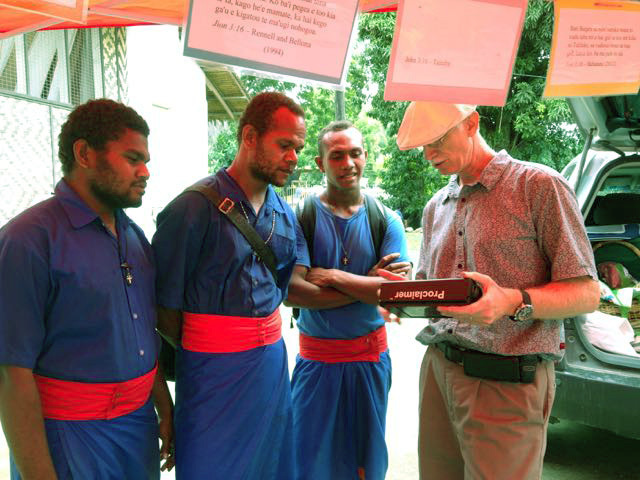 I am saying this because religion and denominational barriers have been some of the major courses of division and tension in many parts of the world and Solomon Islands is no exception. This brings up the question on what should be the focus of our study of the Bible. In answering this question I can only relate what Jesus himself is saying to us in John 12: 8, “If I be lifted up, I will draw all men unto me”; or where he said “Search the Scripture for in them ye think ye have eternal life but they are they which testify of me”. It is clear therefore that our duty as expounders of God’s word is to lead people to Jesus Christ. I leave that matter there. With your indulgence I would like to dwell on the power of God’s Word and its importance in our country in this address. I feel that I have a duty to do that. Yes God’s word has been around in this country since it was introduced by the pioneer missionaries of our various denominations more than a century ago, amidst an environment of heathenism and all the practices associated with it. This is even before any kind of government system as we know today was introduced into the country. The Christian Religion through the power of the written word has more to do in transforming the lives of our people from heathenism to the knowledge of the true God and all the benefits that come with that knowledge. Indeed, civilization as we know today in our country has its beginning in the introduction of the Christian Religion through the working of the Holy Spirit that helped our people to understand the love of God as expressed in the written word. The seed planted by our pioneers grew and turned viral. More than 90% of our population today is associated with a Christian Denomination. Talking about the transforming power of the word of God, our country stands as a testimony. The seed is still growing and producing fruits. It is any wonder that the Apostle Peter described the word of God in 1 Peter 1:23, as incorruptible seed because it lives forever. When we have a Bible in our hands, we have something which can communicate the incorruptible seed of God’s Word into our hearts, and the hearts of others. Where this seed is planted, and watered, we can expect there is going to be a result. My point is, the potential of the seed today is as great as it was when our pioneer Missionaries began planting it more than a century ago. The great thing about the Seed of God’s Word is that it can be multiplied constantly. We can multiply it by printing it, typing it, speaking it or giving money so that others can do this. As a matter of fact we are gathered here this morning to witness the launching of another way of multiplying the seed- a method that will increase the readership of the Bible by breaking down the barriers created by illiteracy. We have a Christian Duty not to let the torch of our pioneers growing deem in our love for the word of God. I am saying that because we owe the peace and happiness we enjoyed today to the transforming power of the word of God which our forefathers received with open arms. They deserve our appreciation and grateful heart. All serious Bible students will testify to the fact that the word of God is all powerful and benefits those who love it in many ways. It certainly brings God closer to us. It reveals the Covenants and Promises of God. It has the power to give new spiritual life and produces faith in the believers. It produces spiritual cleansing and is the means by which God speaks to the hearts of his children. It provides guidance and provides reassurance in times of stress. It brings joy, converts the soul, and gives hope to the hopeless. It heals the body, minds and emotions, and strengthens us during severe trials and persecution. It improves our society, it betters human relations, promotes personal success and defeats demonic harassments. I may sound like a wistful thinker in my assertions and I will not blame anyone for thinking that way because these are values and outcome we accept by faith that comes by hearing and reading of God’s Word. It must be experienced for it to have any meaning to a person who seeks God diligently. That is the attitude I would like see developed in our people, and especially amongst our youth population. This is an issue for Solomon Islands with a population that is growing younger and unless they are properly nurtured, we could be in danger of investing in disaster. We only have to see the events of year 2000 to learn this hard fact. I want to elaborate on the last three benefits discussed earlier that come to us when we seek the will of God, and when we respect His words and allow Him to speak to us. It is interesting to observe what is happening in nations where many people are turning to the Lord and honouring the Holy Scriptures. You can just see how their society is improving – even economically. Cases in point would be South Korea and China. It is experienced in these countries that when God’s word prospers in a nation, it eventually brings economic prosperity and blessings to the nation. The reverse is also true. A nation founded on biblical principles but later reject God and His word is in danger of experiencing the withdrawal of God’s protecting hands. My prayer for this nation is that we do not go down that path. Yes God’s Word betters Human Relationships. It teaches us that our duty is to love the Lord Our God with all we are and have, and our neighbours as ourselves. You see the whole law of God is about treating people correctly according to the principles of justice, mercy and faithfulness. When people live and relate in this way, the way God designed them, then happiness in family and community is the result. However when God’s word is rejected, we get a lot of human misery, marriage break ups, hurt and rejected children who grow up to hurt and reject others, dishonesty in business, and superficiality in relationships. Once again we see the tremendous value of God’s Word in making our human relationships better. We can do this because we first receive love from God, who has revealed the message of his love in the Bible. I have also come to learn that God’s Word Promotes Personal Success. God is not against success. As a matter of fact God does not want us to fail if we are doing what He wants us to do. Of course, success in the sense of achieving what we set out to achieve or getting what we want is not the highest value for God. I come to learn that doing His will is far more important to God. You see, if our hearts need correcting, or we are running in a path outside of God’s perfect plan for us He may sovereignly work to frustrate us or allow us to be defeated for a season. I can testify to that fact because I personally experienced it and as a result of that experience, I am now stronger in the resolve to put God first in my life. We can go on and talk about the many blessings that come to us when we love God and respect His Words. But today we are here to celebrate another significant milestone in the effort to place the Word of God in the hands of many people who would not have access to the word of God because they are disadvantaged by their inability to read. 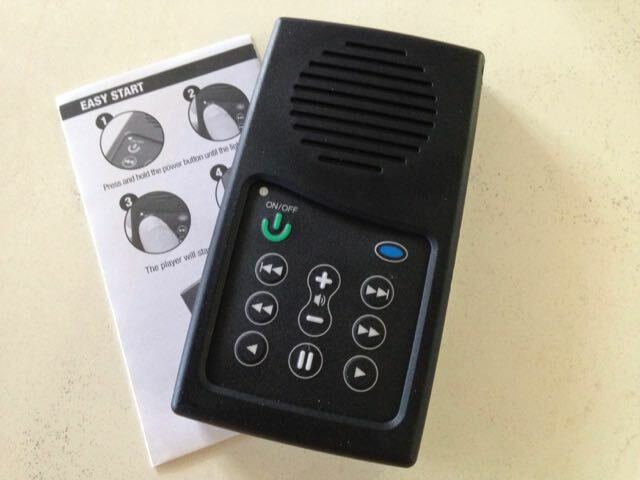 The project improves the availability of and access to God’s word by breaking the barrier created by illiteracy, a perfect example of the church using the era of technology to advance the work of God; it is also a fulfilment of Bible prophecy in our little corner of the world that knowledge (including knowledge of God’s word) shall be increased. We are truly living in the last days. Indeed, the project goes to the heart of an important aspect of the work that Churches and those entrusted to expound on God’s word are endeavouring to achieve and that is to get our people to have a full knowledge of God. This is a very important point which I would like to briefly dwell on as I bring this speech to a close. The knowledge of God or the lack of it makes a big difference to the way Solomon Islands and Solomon Islanders for that matter conduct themselves as citizens of our country as discussed earlier; and I want to reiterate the point I made earlier again -. …It is for this reason that expounders of God’s word have a solemn duty to ensure that the will of God for his children are correctly represented to the seekers of truth. Anything short of that will be doing injustice to our God who is Love and Justice personified. An important step in getting our people to understand God is to have them read or hear the word of God in a language that they can understand. This is where this project comes in. Illiteracy, lack of understanding, lack of interest and boredom are some of the real challenges we are facing in this country to get our people to take serious matters seriously. Talking about serious matters, there is nothing more serious than the importance of understanding God’s word and how He wants us to live because it determines our eternal destiny. Understanding God’s Word is the key to understanding and knowing God. Knowing God and what that entails is life Eternal. I am not making that up by the way. Jesus Himself has this to say in that regard in John 17:3… “And this is life eternal that they might know Thee, the only true God and Jesus Christ whom Thou hast sent”. Breaking down of these barriers is therefore an effort worthy of commendation and something that we must work together to address. It is concern with an important aspect of getting our people to establish a relationship with God. Knowing God fully appears clearly to be an important task of those who are entrusted to expound on God’s word to our people as stated earlier. There is another point I want to make here. As a country claiming a population distribution that is predominantly Christian, we do not have to struggle with the law of the land to place the word of God in the hands of our people. We are free to hold public rallies and campaigns to expound God’s word, and organize Bible study groups to participate in deeper understanding of God’s word. We are free to do all of that without the fear of breaking law. We have all the reasons to thank God for that. This is a reality that we often take for granted in a country that is so peaceful and the right to worship God freely is protected by our national constitution. 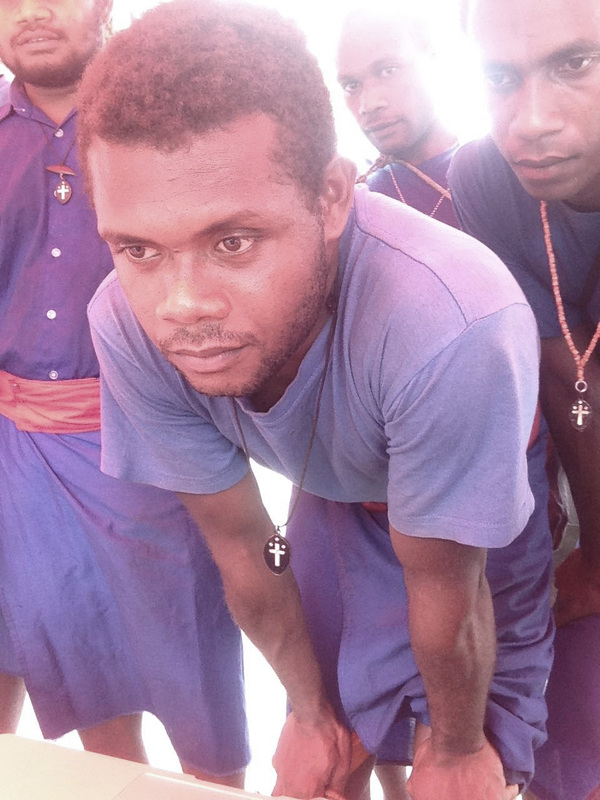 There are countries in the world where Christians do not have the freedom we enjoy in Solomon Islands to study the word of God and to worship God without the fear of being arrested as law breakers. I hate the day when that freedom is tampered with in this country and my prayer has always been that God will lead and guide this nation. Finally, if you are privileged to be the owner of a Bible, you have a tremendously valuable treasure. How much you use it, how much you benefit from it, is up to you. You see when a person is spiritually and mentally transformed by the power of God’s word, they themselves become a new source of seed to touch their world. This project has that objective in mind. If a person is a “good ground” Hearer the impact of their lives should be 30, 60 or 100 times greater than the original investment of seed planting and cultivation that went into their lives. It is our earnest prayer that with the launching of this product the more we plant the seed, the more “good ground” hearers it will reach, and the more we become partakers in God’s eternal plan to rescue those whom He has chosen. God Bless Solomon Islands From Shore To Shore. Last weekend while visiting a craft market, a man was selling World War II relics. It’s been a while since I’ve seen anything like this being sold, but this man had quite a few items. There was a canteen, two mess trays and assorted bottles. This knife appears to be WW I vintage. It would be interesting to know how it got here! And this little treasure is one we couldn’t resist buying. It appears to be the fuel tank ID plate from a Grumman F6F-3 Hellcat fighter plane. And for a friend, we purchased this WW II Coke bottle from 1944. Both green bottles and clear ones like this can be found here. Through an internet search we discovered that the clear bottles were bottled for the US military. I wonder who downed this Coke? World War II artifacts are protected by the Solomon Islands Government and we will need to get a permit to take the bottle and fuel tank ID tag out of the country.